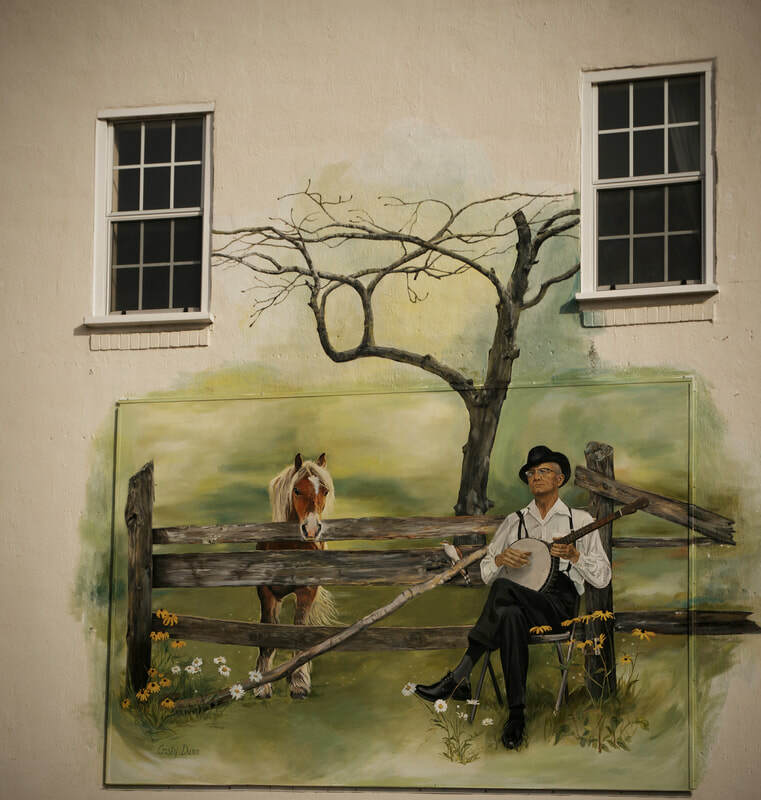 This was the first of the Musical Heritage Mural series, created by Cristy Dunn in downtown Mountain City. Only about 50 people gathered for the unveiling, but among them were Johnson County native and National Heritage Fellow, Joe Wilson, and his former High School English Teacher, Evelyn Cook. These two talked into the evening, and the seed was planted for Long Journey Home, Johnson County's Heritage Arts and Music Celebration. Cristy converses the guests of honor, Joe Dean Ashley and Tommy Moore right before the unveiling. One of several reference pictures for the mural. Turning these old grainy black and white photographs to full color presented a challenge.